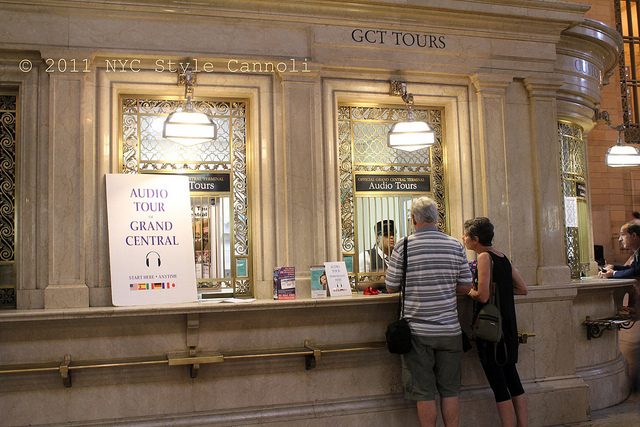 When I visited the city in September, I had the pleasure of experiencing the Grand Central Terminal Audio Tour . 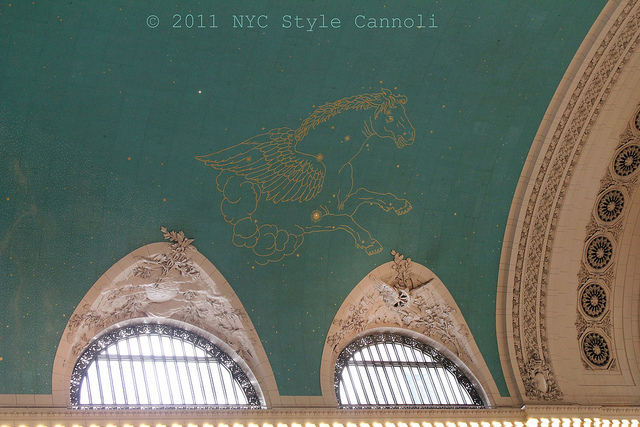 I have visited the terminal many, many times and enjoy it's beauty as well as shops and eateries. I thought it would be really cool to take this tour and be able to give you some information about it, being a very affordable treat while in the city. This is where you start the tour and it is available 7 days a week, 365 days a year. A big thank you to Jason for allowing me to take this tour in order to share it with my blog readers! My schedule changed several times due to the weather issues in late August and Jason really worked with me very easily. Shipping magnate "Commodore" Cornelius Vanderbilt acquired the Hudson River Railroad in 1864. Soon after, Vanderbilt added the New York Central Railroad to his holdings and consolidated his position by creating a rail-link between Spuyten Duyvil and Mott Haven, allowing Hudson River trains to arrive at a common East Side terminal. In 1869, Vanderbilt purchased property between 42nd and 48th Streets, Lexington and Madison Avenue for construction of a new train depot and rail yard. On this site would rise the first Grand Central. 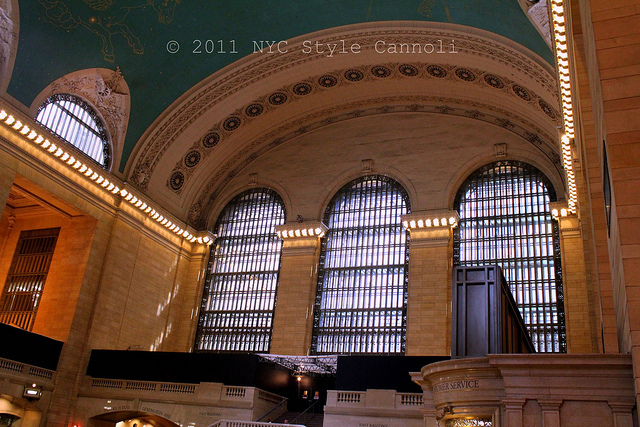 Grand Central Terminal officially opened to great fanfare at 12:01 am on Sunday, February 2, 1913, and more than 150,000 people visited the new terminal on its opening day. Although construction was not yet entirely complete, Grand Central Terminal had arrived and New York City would never be the same again. 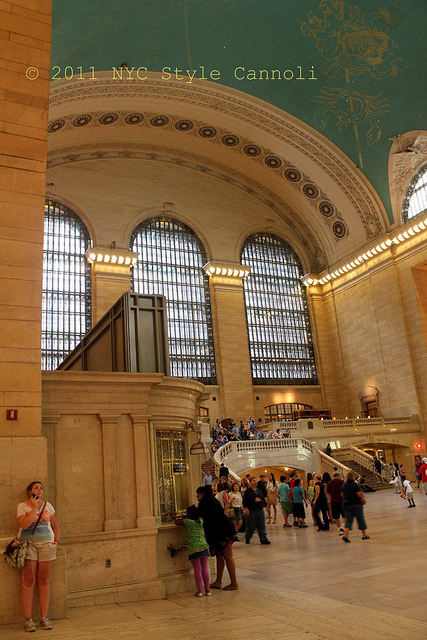 With Grand Central acting as an anchor, development around the terminal took off. Between 1913 and 1917, the Biltmore Hotel, the Yale Club, and two office buildings were constructed on railroad property across Vanderbilt Avenue. During the 1920's, as hotels and apartment buildings began to rise on the "air rights" tracts of Park Avenue, skyscrapers simultaneously sprang up along East 42nd Street. Warehouses gave way to the 56-story Chanin Building, the 54-story Lincoln Building and the 77-story Chrysler Building. 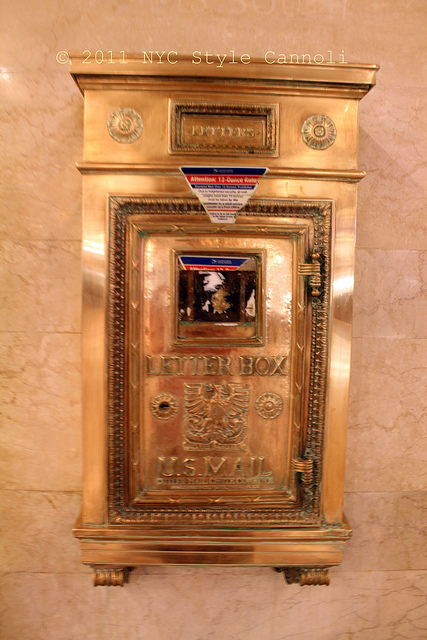 On Lexington Avenue, the Hotel Commodore opened in 1919, and the Eastern Offices Building -- better known as the Graybar Building -- was completed in 1927, each with a passageway connection to Grand Central’s Main Concourse. 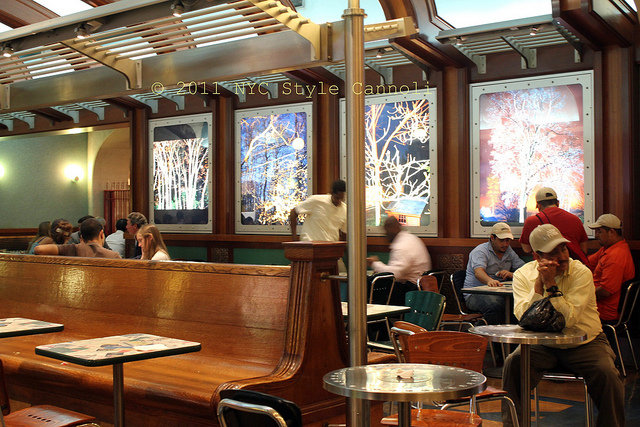 As the neighborhood prospered, so did Grand Central. 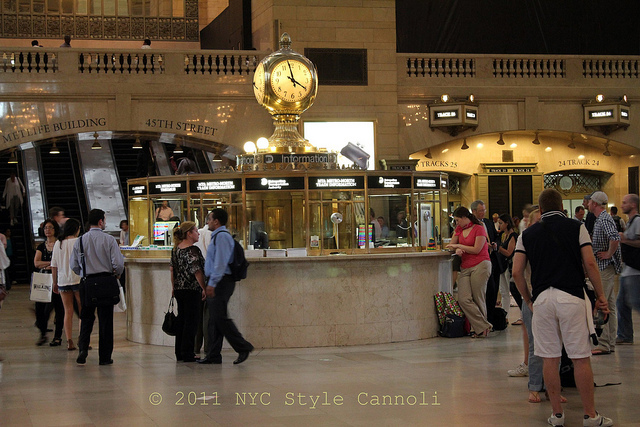 Grand Central Terminal, at various times, housed an art gallery, an art school, a newsreel movie theater, a rail history museum, and innumerable temporary exhibitions. All the while, it remained the busiest train station in the country, with a bustling Suburban Concourse on the lower level and famous long-distance trains like the Fast Mail, the Water-Level Limited, the Wolverine, and the Twentieth Century Limited departing from its Main Concourse. 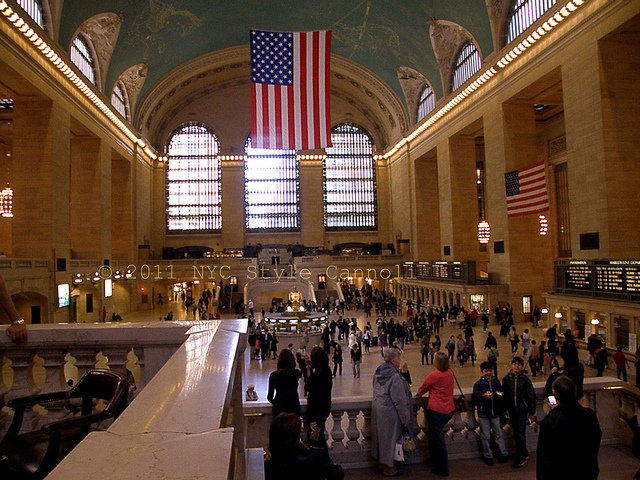 In 1947, over 65 million people -- the equivalent of 40% of the population of the United States -- traveled the rails via Grand Central Terminal. 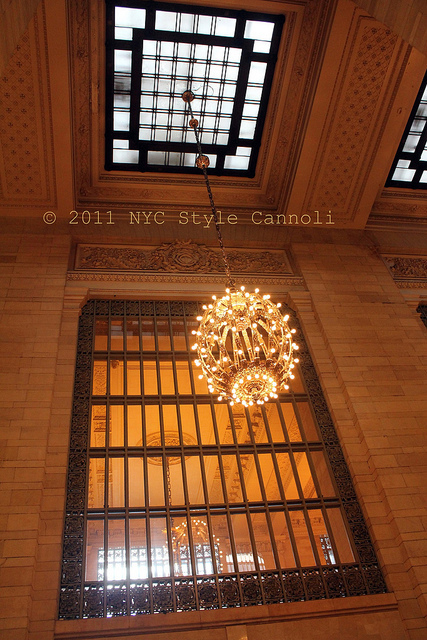 Grand Central went downhill in the 1950's and almost got the wrecking ball! But luckily for us, it was restored to all it's Beaux-Arts( the style of architecture) glory, and in December, 1976, it was declared a National Historic Landmark with the help of Jackie Kennedy Onassis. After many millions of dollars in repairs, restoration and updated plans it re-opened to a huge gala event October 1, 1998. This is the Lower Level Dining Concourse....just so pretty and colorful !! Lady GaGa's father just opened a fried chicken spot in the lower level dining area. 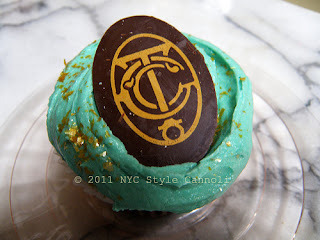 A special Magnolia Bakery Grand Central Terminal Cupcake would be in order !! Orpheo’s state-of-the-art audio device and headset comes with a map of the terminal for just $9 per adult and $7 discounted (seniors, military, students, kids). The audio tour is also available seven days a week (closed only on Thanksgiving day and Christmas day) at the Tours office in the Graybar Passage. Hours are 9am to 6pm, but may be extended during the holidays. The tour lasts 75 minutes and departs each day at 12:30 pm. The cost is $30 for adults or $20 for seniors (65+), students with valid ID, children under 10 years old, military, and MAS Members with valid ID. Group rates for 10 or more people, and private tours are also available. Call 212-464-8255 for more information. 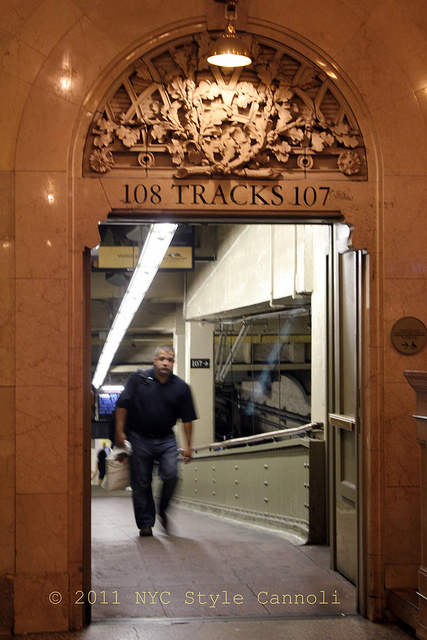 Get tickets to the docent-led tour, or visit the Tours office in the Graybar Passage, just past Track 11. Hours are 9am to 6pm, but may be extended during the holidays. Space is limited.